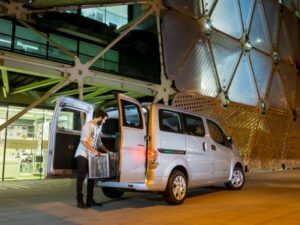 Despite a growing appetite for hybrid and electric cars, government policy needs to do more to encourage commercial vehicle fleets to move to alternative drivetrains, according to new research from Hitachi Capital UK. Electric commercial vehicles could save UK businesses £13.7bn, according to new research. The company’s Future of Fuel Report surveyed 149 UK fleet operators, and found 62% are already running alternative fuel drivetrains – mostly hybrid (46%) or electric (22%) models, but with some also using biodiesel, CNG or LPG – while 42% said they plan to add more within the next two years. However, commercial vehicles are taking a much smaller share than cars. Only 1% of those surveyed had converted 10% of their vans to electric, compared to 3% for cars, while just 2% of those surveyed had any electric specialist vehicles, and 1% had electric HGVs. Infrastructure and vehicle costs were listed as the biggest obstacles to adding more electric vehicles, while short ranges and model choice were also problematic for operators. However, most said that Clean Air Zones due from 2019 will make them more likely to seek alternatives to petrol or diesel, and 73% said Government needs to step in to encourage a move to greener fuels. Hitachi Capital estimates some significant cost savings for commercial operators. While electric cars are typically 8-10p per mile cheaper to operate than petrol or diesel equivalents, the difference rises to 15p per mile for vans, and 38p per mile cheaper for HGVs. Over the 65.7bn miles travelled by commercial vehicles per year, that’s a total of £13.7bn in fuel costs which could be saved by converting the entire fleet to electric vehicles, the company said. Jon Lawes, Managing Director of Hitachi Capital Vehicle Solutions, said: “Fleets cannot afford to ignore the amazing potential of alternative fuels – and, thankfully, they’re not. Our report shows that 82% of fleet professionals believe that it’s important to move to AFVs. This number and many others from our survey are only going to keep on rising as the Government does more to encourage green motoring.